Easy Oreo brownies recipe from scratch that are super fudgy and loaded with chocolate. 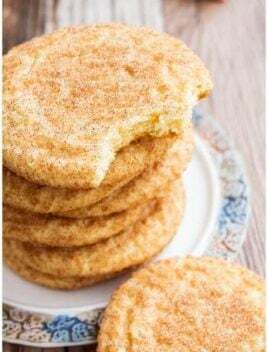 They are ready in less than 1 hour and make a great dessert or snack. 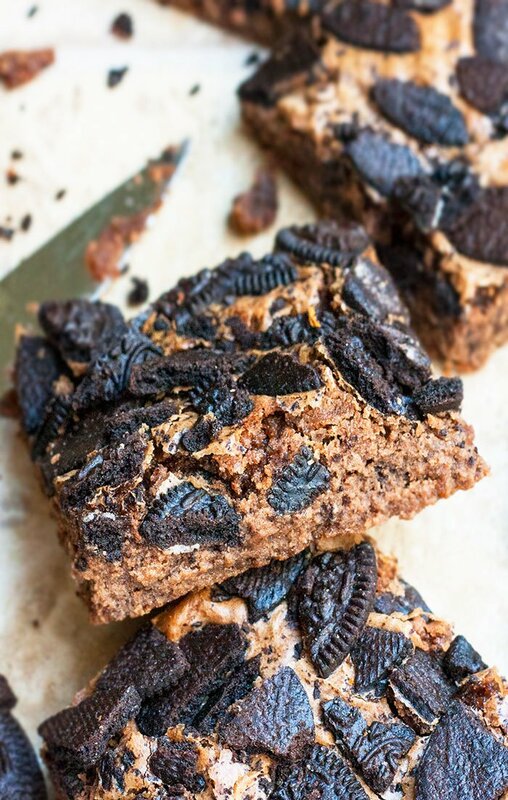 Oreos and chocolate are a divine flavor combination which resulted in these OOEY GOOEY Oreo brownies. 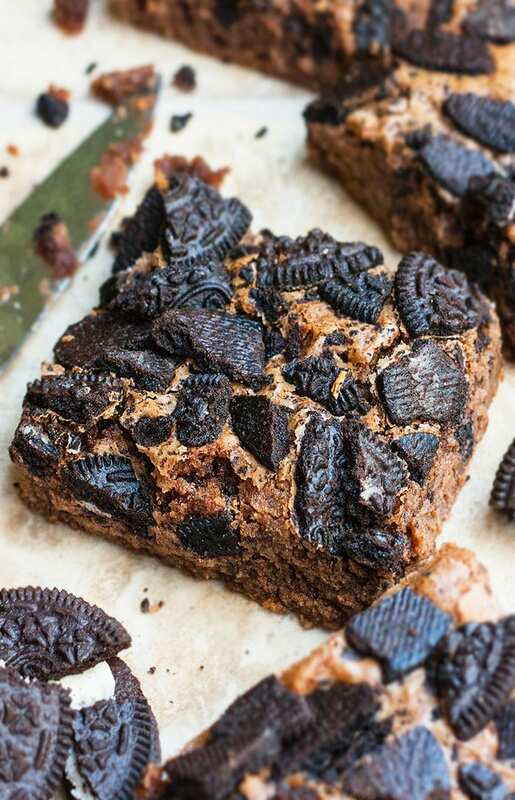 Serve these Oreo brownies with cookies and cream ice cream to take them to a whole new level of irresistible deliciousness! Now, you can make Oreo frosting for brownies OR you can just let them be, like I did. 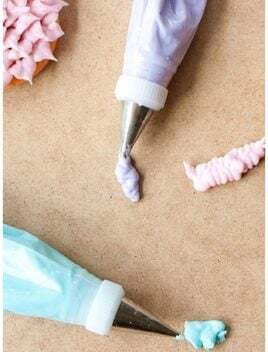 I really DON’T think any frosting is necessary but if you really must have frosting, try my classic American buttercream frosting. 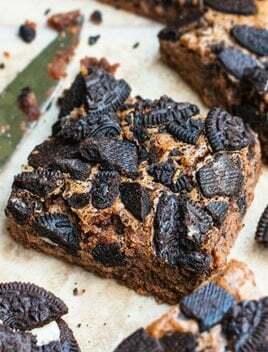 I have made these brownies with Oreos on top and also tried chopped Oreos in the batter and even tried lining whole Oreos at the bottom of the pan. After all those experiments, I found that this version with Oreos on top is the BEST because the cookies don’t get soggy! 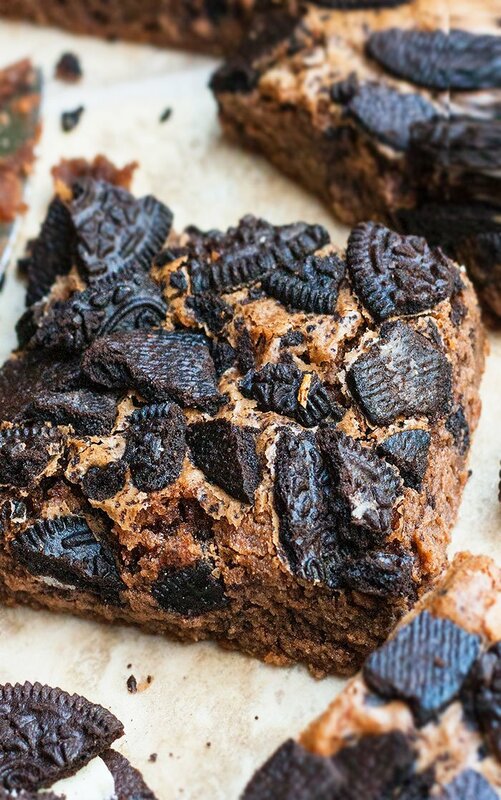 How to make Oreo brownies? Start off by adding butter, sugar and cocoa powder in a mixing bowl and heating it until you have a smooth mixture. Add eggs, vanilla and mix. Add flour, chocolate and chips and mix again. 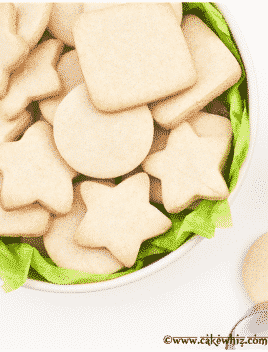 Pour in a pan, bake and enjoy! Can you freeze Oreo brownies? 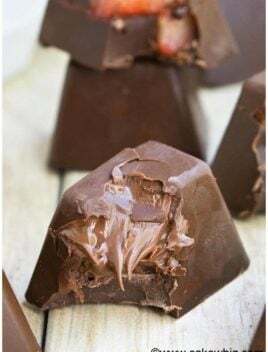 Yes, you can freeze them in sealed freezer bags. If any moisture gets into the bags, the Oreos will become soggy when your brownies thaw. Marshmallows- Stir in some mini marshmallows in the brownie batter. White chocolate chips- Stir in some white chocolate chips in the brownie batter. Peanut butter- Swirl some melted peanut butter in the brownie batter prior to baking. Frosting- Top off these brownies with any frosting of your choice. Cookie dough- Prepare cookie dough and drop spoonfuls on top of the brownie batter and bake. You may have to bake an additional 10-12 minutes. 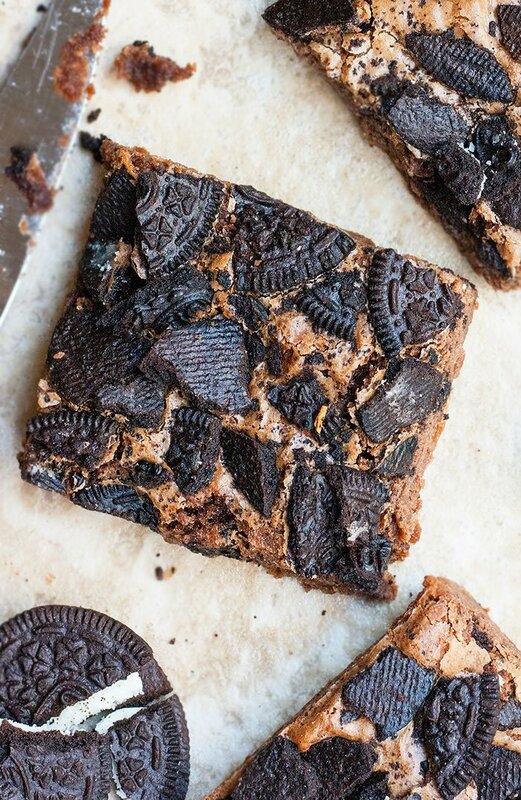 These cookie dough Oreo brownies rock! Hot fudge- Drizzle it on top of your baked brownies, once they cool down. Caramel- Drizzle it on top of your baked brownies, once they cool down. 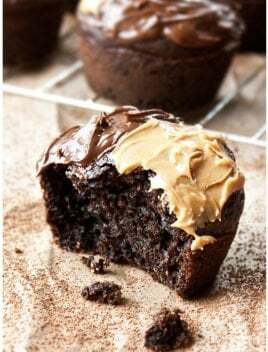 Oreo brownies cupcakes- Scoop the batter into cupcake liners or greased cupcake pan, top off with Oreos and bake. Oreo brownies with brownie mix or cake mix- Make brownie batter as per instructions on box and top it off chopped Oreos, prior to baking. Red velvet Oreo brownies- Prepared red velvet brownie batter and top it off with crushed Oreos, prior to baking. 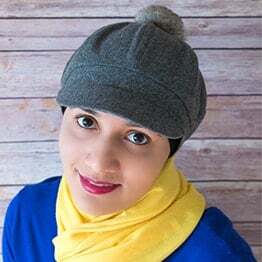 In a microwave-safe mixing bowl, add butter, sugar, cocoa powder and heat in microwave at 30 second increments (mixing between each round) until the butter has fully melted and you have a smooth mixture. Add eggs, vanilla extract and mix again. Add flour, chocolate chips and mix until just combined. Don't over-mix! 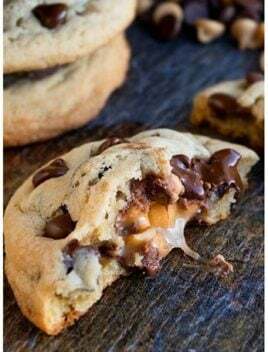 Note: Some or all of the chocolate chips might melt, depending on how warm your mixture is. Don't worry about that! Pour batter in a square pan lined with aluminum foil and greased with butter or oil (Dimensions: 8x8). Spread it evenly with a spatula. Top it off with chopped Oreos. Bake at 350 degrees for 30-35 minutes or until an inserted toothpick comes out with a few sticky crumbs. If there are no sticky crumbs, you have over-baked the brownies. Allow the brownies to fully cool down before cutting slices. Enjoy! I am a little weird and crazy about the actual cookie part in Oreos and not the cream. So, I didn't use the whole Oreos but you can easily use whole Oreos with the cream and everything. We currently have opened packs of Oreos in my house so these definitely need to happen! They look amazing!